Carl Richard Woese was a great microbiologist and a biophysicist. He held the Stanley O. Ikenberry Chair and was a professor at the University of Illinois at Urbana Champaign. This great man passed away on December 30, 2012. Today we commemorate this great man and his accomplishments. 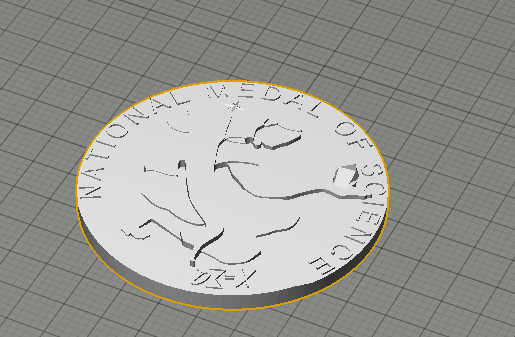 Nicholas Vasi, Director of Communications, Institute for Genomic Biology came to us at the MakerLab with the idea of 3D printing two medals that held significance in the life of Carl R Woese. Woese received the National medal of Science in 2000 and the Trustees’ Distinguished Service Medallion 2009. Mr. Vasi thought it would be great to recreate these medals and place them in the memorial exhibit within the Institute for Genomic Biology. Printing these medals was never going to be an easy task. However we deal with such challenges on a daily basis at the MakerLab. 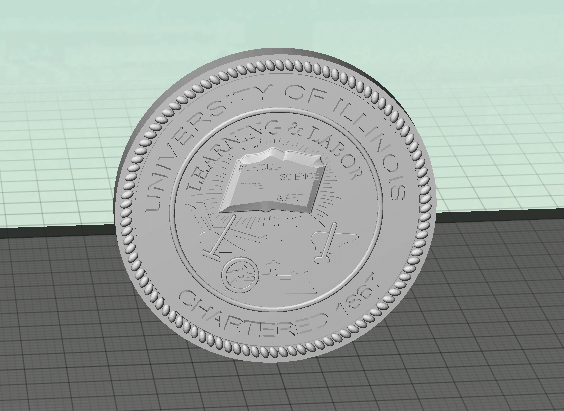 Our Gurus took this challenge head on and began the design of the two medals. Every interesting project comes with numerous unforeseen difficulties. Our Guru, Ryan Hurley who was initially assigned to this project injured his foot so Kevin Lohan and Brian Busch two of our other guru's had to step in midway and take charge of the order and they did an amazing job. “I learned a lot of time management during the course of this project. It was dropped on me at the last second and I had to pick up where somebody else had left off.” said Brian. There were some design issues faced during this project as well. The lettering of the book in the Trustees’ Distinguished Service Medallion was too small and had to be redone. Kevin Lohan was the guru in charge of the National Medal of Science. He faced some trouble during this project also. “The free form modeling was a little bit challenging since the person in the medal is an organic shape and doing that is much more difficult with a 3D modeler as compared to doing geometric patterns”, said Kevin. However, Kevin has had some experience in dealing with such situations and was able to handle this difficulty with ease. The project was a success and was completed in time. Mr. Nicholas Vasi was impressed with the results and is looking forward to working with us again.You can hear Mr. Nicholas Vasi talk about his experience below. Join the Maker movement at Illinois. Stay tuned for updates by subscribing to our blog feed, or just get our posts via email (subscribe by entering your email on the right). You can also like us on Facebook or follow us on twitter to stay updated. Interested in our services? Just drop us a note at UIMakerLab@illinois.edu.